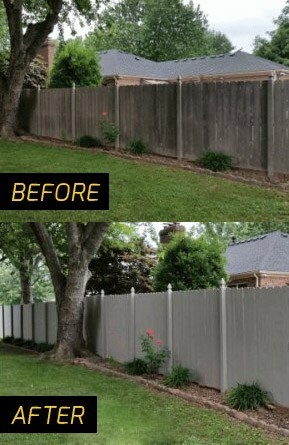 A fence is one of the fastest ways to make major transformations to the outside and inside of your home. There is no better way to immediately increase your family’s privacy than by installing a tall yard fence to keep peeping toms at bay. This can mean the difference between living a private life unobstructed by others and being the perfect target for some window-shopping thieves. Lets not forget the doors it opens to pet ownership. A relaxing garden is one of the ultimate retreats in today’s hectic and stressful world. Coming home to a peaceful retreat in nature is something that every person should be able to enjoy. One of the first steps to creating a relaxing environment is ensuring your privacy is secure. By fencing in your yard, you can create a private place that becomes an extension of the rest of your home. Installing a fence is a big job without the proper tools and experience. Our Badger Handyman professionals have the tools and experience, so if you decide to take the step to securing that private space in your yard, give us a call or send a message to have a Badger Handyman come out to your property to give you a free, no-obligation quote.